While there are certainly other ways of posting pictures on a forum such as this, I think this is one of the most basic methods that most folks new to picture-posting will find fairly straight forward. 1. Set yourself up a free account on Photobucket by following the instructions for doing so on http://www.photobucket.com. 2. Okay.... You know where the pics are in your computer. Like in "My Pictures" or wherever. 7. Note which file that window is showing, then get to the file where your picture is located. 8. 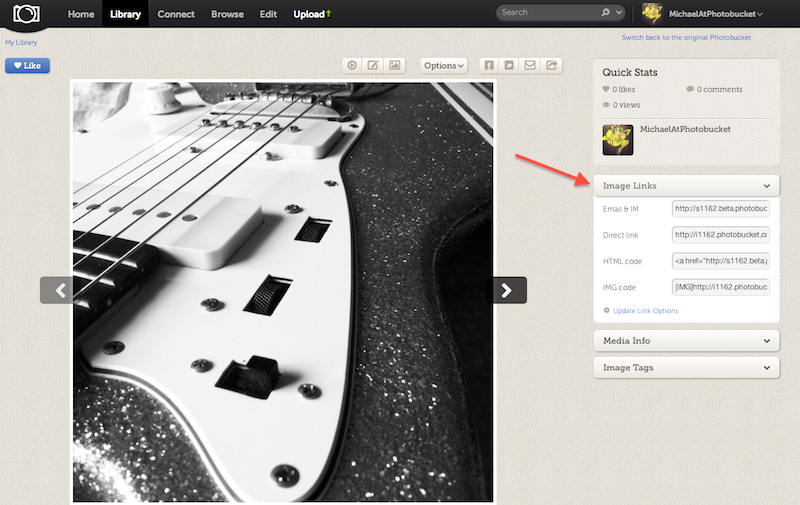 Highlight the picture you wish to upload to Photobucket by clicking once on it. (If you wish to upload more than one, simply hold the "Ctrl" key as you click each one.) In the example below, I have highlighted the picture titled "2006fishingseason." 13. Next, move your cursor down to the "IMG code" line at the bottom and click once. Watch the box and you'll see a brief "Copied" appear and fade out. That code is now copied and ready to be pasted in your forum post. ImageShack limits it to 1.5 megabytes, but that is a huge file and will take a very long time to upload. I try to keep pics at around the 50kb size. Binford, How does a person make their pictures smaller? I have several to post at 1.57-1.69MB in size. If you have an image editor you probably have a option to save the pics at less than the original resolution or pixel density. So if you have such a program, you can save a copy of the pics you want to post online at 75 dpi AND keep the high resolution for yourself or for someone who might want them. Also reducing the size of the image helps if the image is really big to start with...like a 1600X1200 or larger image cut down to 800X600 or less will cut the file size a chunk. Thanks for the assistance. I used MS Office Picture Manager to compress the photos. I have updated the procedure. What was there before was from 2008 and was completely different from how Photobucket works today! On the boat forum I hang out on, the question kept coming up, so I was going to copy the post I'd done here, but found it to be too out of date, so I made a new one for the boat forum and copied it to here for y'all. Hope it helps! I am typing here to say whatever it is I wanted to say about this picture I am about to post. 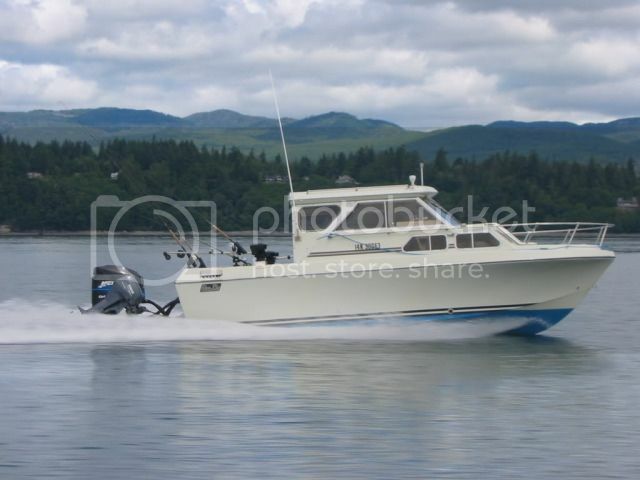 I have no idea whose boat this is, but it appears to be a Canadian vessel based on the registration numbers, eh? So the picture will appear above these words I'm typing now and below the words I typed just before posting the code for that picture. Putting a few blank lines (by hitting "enter" a couple times) helps set apart your picture from the text. You should also put a space between each picture link too. If the picture links appear one below the previous, without a space, the pictures will appear butted up against each other, which is often confusing as it can be difficult to tell where one picture ends and the next begins. So that's all there is to it. Feel free to post a reply here if you have any questions, or if I wasn't clear about something. use the IMG code, paste it here. So is there anyway to put up section on the site that just has pics that everyone can scroll through. Interested in looking at all the pics to get ideas on mounting items, looks, paint jobs etc. Have finally I guess gotten started on mine. Need to post, obviously but thought this a valid question. Ur best bet is to just go through all the builds and see what people have done. There is also an ultimate pic thread, it has mostly completed trucks though. The build threads will give u details.